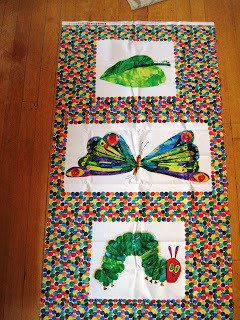 Last year I made some wall art and pillows using fabric featuring the author Eric Carle's books. Recently I found a new release in that series featuring the Grouchy Ladybug. I thought it was so cute and knew I could make something out of it to match what I had already made. This fabric is the same border, over and over, with these cute sayings. The background is white, not a very good picture! I also got a panel of the ladybugs, just because I knew if I didn't I would regret it. I cut the borders apart, sewed them back together putting the Grouchy Ladybug picture in the middle of one of them, and hemmed them. I am going to use one on a bookcase, and the other on a table, I think. Unless I think of something else when I get to school tomorrow. I still have another panel that I bought at the quilt show last year. I have a window between the library and a classroom that I want to cover, so think that it will do the trick! I measured the window one day, but forgot to bring the measurements home so I think I will take it to school tomorrow so that I can see what I need to do make it work for that space. I finished quilting GerriAnn, now to get the binding on. That fabric is so adrobale. I bet your library is charming,. I love the Grouchy Ladybug fabric!! Your quilt top is going to be so cute!! 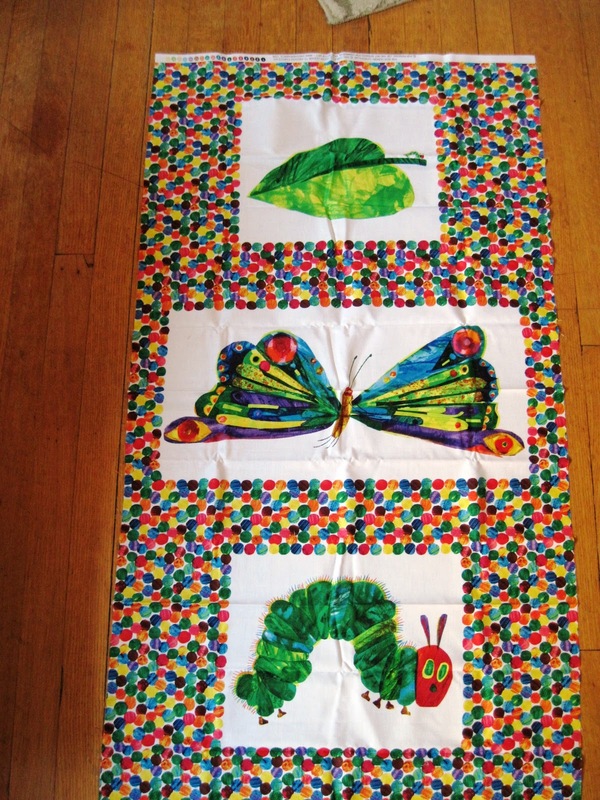 Love the Eric Carle prints, never seen them before! Busy day and fun in the mail!